If you’re in the market for a new k-member for your Fox Body there are some things you need to consider before purchasing one. In this short guide, we’ll cover what the k-member is, its function, and what to look for in an aftermarket one. The K-member on the Fox Body chassis is basically the piece that ties everything in the front together. It’s what your engine is bolted to, as well as your front suspension and steering rack. Since it pretty much ties everything together the rigidity is extremely important. 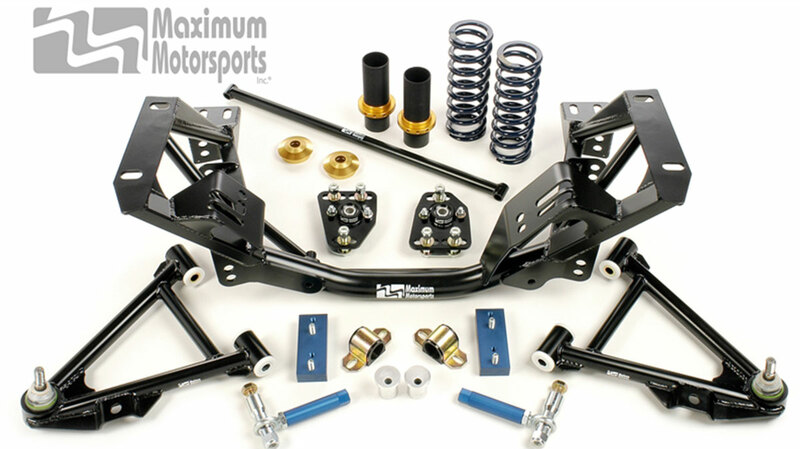 First up on our list is the UPR Chromoly k-member suspension kit. This k-member is made of Chromoly for the most strength possible, but it also saves 70lbs. UPR makes a mild steel version of this kit, but it’s hardly any cheaper. This k-member doesn’t change the wheelbase and doesn’t change the factory suspension geometry. Second up on our list is Maximum Motorsports. They’re one of the biggest names in the Fox Body suspension market. Matt Farah from the Smoking Tire used full Maximum Motorsports on his Fox Body canyon carver build and he absolutely loves their products. Their kit includes absolutely everything to make your Fox Body handle amazing. Even little things like solid steering rack bushings are included. Switching to this k-member kit should save you about 40 lbs compared to stock. Third on the list is AJE Racing Tubular K-Member. We know how popular Chevy swaps can be so we decided to include this k-member to help anyone planning on running a Chevy engine. This kit will work with a small-block Chevy, big-block Chevy, and LS1. The springs are even tuned for the weight of a Chevy engine which means your Fox Body will still handle well. Last but certainly not least is the QA1 K-Member. 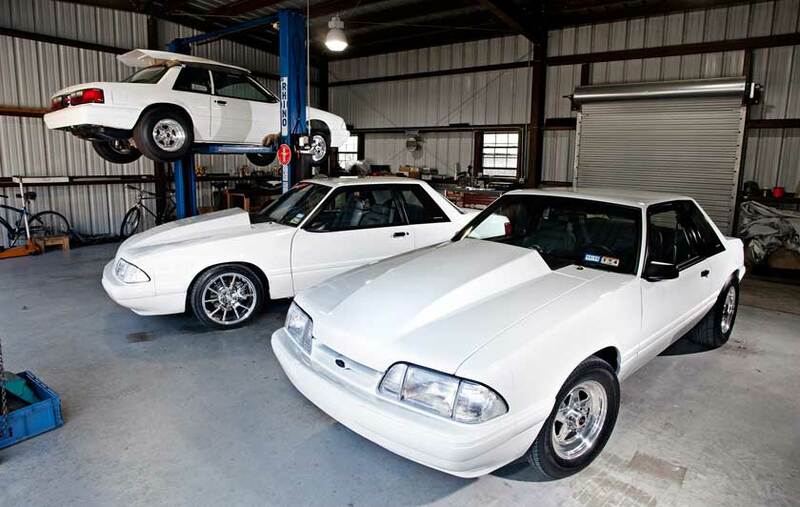 QA1 is a well-known suspension manufacturer that specializes in muscle cars like the Fox Body Mustang. Unfortunately we arent able to find any sort of QA1 suspension kit for the Fox Body Mustang, but we did find their k-member. This k-member slightly changes the suspension geometry to increase anti-dive and reduce bumpsteer. It does this while being 50% lighter than the stock k-member. There a couple different things you need to look for before you buy a k-member. I would definitely recommend QA1 or Maximum Motorsports. Both companies are known for being able to make muscle cars handle amazing. They’re also known for amazing build quality. Since the k-member holds the entire front end together, rigidity is extremely important. Just like how subframe connectors improve the chassis rigidity, so does the k-member. High-end k-members will typically be made of Chromoly. Chromoly is extremely strong and fairly lightweight, but it is very expensive. Low-end k-members will typically be made of mild steel, which is weaker than Chromoly and slightly heavier, but it’s much cheaper. One of the best features of an aftermarket k-member is the ability to change the suspension geometry. One of the most common geometry changes is to move the front wheels forwards. This helps with drag racing as it makes the vehicle more stable, as well as help, keep the front end down when launching the vehicle. Aftermarket k-members can also bring slight change to camber, caster, suspension pick-up points, and a coil over setup. For a street Fox Body, I would definitely stay with a factory geometry k-member to simplify your alignment. Most k-members will require you to switch to a coil over setup, so keep that in mind when you decide to get an aftermarket k-member for your Fox Body. With the insane popularity of the Chevy LS engine, it’s no surprise that people want to swap it into their Fox Body. However, this poses a few issues, mainly engine placement, and engine mounts. An aftermarket k-member can solve these issues and make your engine swap a much simpler operation. What Type of K-Member Should I Buy? For a street driven Fox Body, I would recommend a mild steel tubular k-member with factory geometry. The low cost of mild steel will save your wallet and you’ll still experience the benefits of a tubular k-member. If you plan on track racing your Fox Body we would definitely recommend getting a Chromoly k-member with a track-focused suspension geometry. 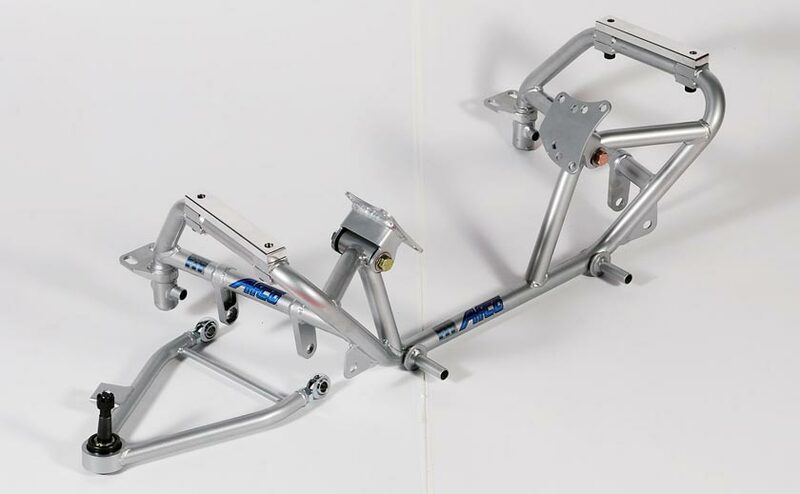 Although it will be significantly more expensive, Chromoly will help shave weight off the front of your Fox Body which is very important for track racing. If you plan on drag racing your Fox Body look for a k-member that will push your front wheels forwards slightly. It might decrease the cornering capability of your Fox Body, but it will be more stable down the 1/4 mile and you’ll be able to launch it harder.